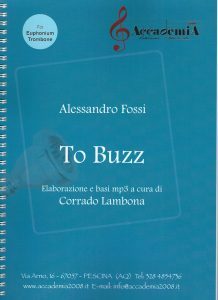 This is my new method book I wrote to practice buzzing, in the book you’ll find a CD with accompaniments for each exercise. You can use it also to practice with the instrument. Watch the instructional video here. Start now to build your sound!